This small country house is the last house belonging to the important Turnor family who were huge Lincolnshire landowners until the first part of the twentieth century. 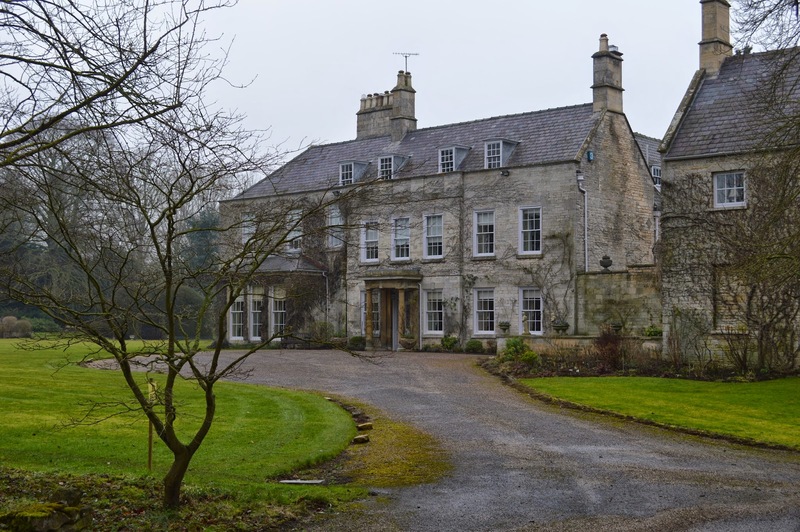 While the country seats at Panton Hall and Stoke Rochford Hall were sold off this house remained home to the last of the Turnor family until 2015. While the Turnors occupied Little Ponton Hall from 1863 the house has a rich history going back even longer. For a time it belonged to the heraldic house of Fane/Vane whose descendants included the Earls of Westmorland and the Dukes of Cleveland. The house was probably built for William Thorold, dated 1725, and later leased to Lord Widdrington. William Daye and Henry Pennyman were also owners with the latter altering the hall in the 18th century¹. By 1831 Sir Charles Egleton Kent, 2nd Baronet, (1784-1834) was in residence. He was also occupier of Fornham Hall in Suffolk and died at Peterborough House in Fulham in December 1834, having survived his wife Lady Sophia Margaret Lygon (daughter of the Earl Beauchamp) by just three weeks. He was succeeded by his only child, Sir Charles William Kent, 3rd Baronet, (1819 -1848) a minor². Little Ponton Hall was acquired by William Harry Vane (1766-1842). He had been the 3rd Earl of Darlington between 1792 and 1827 and the Marquess of Cleveland between 1827 and 1833. He was made the 1st Duke of Darlington in 1833. Vane had married Lady Katherine Powlett (1766-1807), second daughter of the 6th and last Duke of Bolton, in 1787. His second wife was Elizabeth Russell, the daughter of Robert Russell, a market gardener of Newton House in Yorkshire. They married in 1813 and spent most of their time at Raby Castle in Durham but Little Ponton Hall provided the perfect location for his love of fox hunting. Following his death it would appear that the house remained within a different branch of the family. By 1856 it was under the guardianship of Vere Fane (1785-1863). He was the son of Henry Fane (1739-1802) and Anne Fane of Fulbeck Hall, near Grantham. His father was the second son of Thomas fane, 8th Earl of Westmorland, who had bequeathed him £1,000 in East India stocks. Vere Fane, already a rich man, was a London banker and a long term partner at Praeds and Company, of 189 Fleet Street, from 1817 until his death. He had been MP for Lyme Regis between 1818 and 1826 and also benefited from compensation awarded to slave-owners for estates in Jamaica and Grenada. He married Elizabeth Chaplin, daughter of Charles Chaplin, of Blankney House, Lincolnshire, in 1815³. Vere Fane’s daughter, Emily (1821-1893), married Colonel Edward Birch Reynardson (1812-1896) in 1849 and spent much of their time at Little Ponton Hall. They would later live at Rushington Manor, Totton, in Hampshire. When Vere Fane died in 1863 he left effects under £20,000. 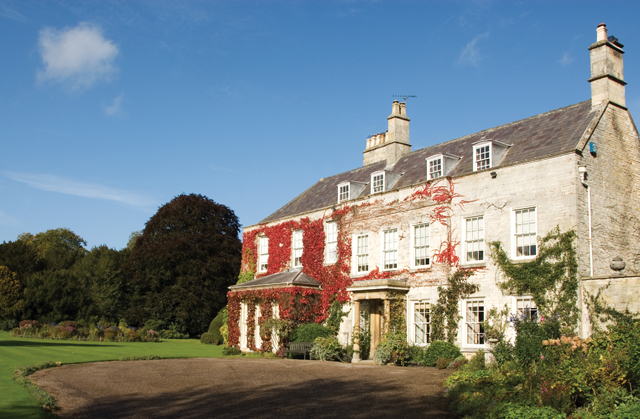 In the same year Little Ponton Hall was purchased by the Turnor family who would remain until the present. The first occupant was Philip Broke Turnor (1814-1882), the younger son of Edmund Turnor (1755-1829) of Stoke Rochford and Panton Hall, and brother of Christopher Turnor (1809-1886), who subsequently inherited the Turnor estates. It was Christopher Turnor who rebuilt Stoke Rochford Hall between 1841 and 1845. Philip Broke Turnor and his wife moved into Little Ponton Hall shortly after Vere Fane’s death. Turnor had married Selina Laura Saunderson (1831-1901), daughter of Mr James Saunderson (the youngest son of Colonel Alexander Saunderson of Castle Saunderson in Ireland) in 1853. Turnor had lived for many years at Newton House, near Folkingham, and spent his remaining 14 years at Little Ponton Hall. He died at the house in 1882 after a protracted illness. His widow remained at Little Ponton Hall and two years later married Major William Longstaffe in a ceremony at Stoke Rochford Church. William Longstaffe (1831-1922) had been educated at Woolwich and served as Captain in the Royal North London Militia between 1855 and 1860. He also saw four years’ service during the Crimean War as well as being adjutant of the 2nd Volunteer Battalion Lincolnshire Regiment from 1880 to 1884. He became a JP for Kesteven and Chairman of the Grantham Board of Guardians and the Rural District Council. He was a keen huntsman and ended up supporting the Belvoir Hounds for 50 years. Longstaffe’s contribution at Little Ponton Hall was extreme and despite the death of Selina, on holiday in Folkstone, in 1901, he remained at the house for most of his life. In his final years he suffered illness and moved to Stoke Rochford Hall where he died in 1922 aged 91. His death came as an advantage for Captain Herbert Broke Turnor (1885-1979) who married Lady Enid Victoria Rachel Fane (1894-1969) in September 1922. Herbert Broke Turnor was the eldest son of Algernon Turnor (son of Christopher Turnor) and Lady Henrietta Turnor. The marriage marked the return of the Fane/Vane family to Little Ponton Hall. Lady Enid was the eldest daughter of the 13th Earl and Countess of Westmorland and widow of Major Henry Cecil Vane, eldest son of the 9th Lord Barnard, who had died from wounds sustained during World War One. Following their wedding at St Paul’s Knightsbridge the couple set up home at Little Ponton Hall. Herbert Broke Turnor lived a leisurely life at Little Ponton Hall fulfilling his duties as a member of the West Kesteven Rural District Council and of the Spitalfields branch of magistrates. He was appointed a Deputy Lieutenant for the County of Lincoln in 1939. However, his world irrevocably changed in 1940 following the death of his cousin Christopher Hatton Turnor (1873-1940). It meant the Turnor estates were now the responsibility of Herbert Broke Turnor and he faced some very tough decisions. Christopher Hatton Turnor’s death saddled him with death duties amounting to £277,658. The huge bill was a hammer blow for the family. Panton Hall had been disposed of in 1917 and there was now the problem of what to do with Stoke Rochford Hall. For the duration of World War Two the army were in residence but the house was far too big and expensive to consider making it a family home again. Herbert Broke Turnor made concessions and in 1941 wrote to the tenants of his North Lincolnshire estate, between Market Rasen and Grimsby, informing them that he had no course but to sell the land. The whole village of Kirmond-le-Mire was sold, together with farms and properties at Binbrook. Kirmond had belonged to the Turnors since the reign of Henry VIII and the auction raised £33,320. The following year he sold Sir Isaac Newton’s orchard, including the famous apple tree, at Woolsthorpe to the Royal Society at a price substantially less than its value. Stoke Rochford Hall was let to Kesteven County Council in 1948 and finally sold to the National Union of Teachers in 1978. Little Ponton Hall was now the last remaining property belonging to the Turnor family and the only remnant of a once mighty Lincolnshire estate. Herbert Broke Turnor died in 1979 and the estate, including Little Ponton Hall, passed to his daughter Rosemary Sybil Turnor (1924-2015). She had married Alistair McCorquadale (1925-2009) in 1947 and remained at Little Ponton Hall until her death. Alistair McCorquadale had been educated at Harrow and was an acclaimed sportsman and athlete who lost out on a medal at the 1948 London Olympics after officials separated the 1000m finalists using photo finish technology. Following the Olympics he played cricket for Middlesex. McCorquadale was also an astute businessman and became Chairman of McCorquadale and Co in 1967. He retired in the mid-1980s and also sat on the boards of British Sugar and Guardian Royal Exchange as well as being a governor of Harrow School. He had been actively involved running the Turnor estates since 1954⁴. He died in 2009 and the estate passed to Neil Edmund McCorquadale (b.1951) who married Lady Sarah Spencer (b.1955), the daughter of the 8th Earl Spencer, and sister of the late Diana, Princess of Wales. He was a former Coldstream Guards Officer before turning his attention to farming matters. The death of his mother, Rosemary McCorquadale (the last of the Turnor family), in 2015 means Little Ponton Hall is now under his guardianship. The future of the house is uncertain but one can presume that it might become the new family home for the present generation. 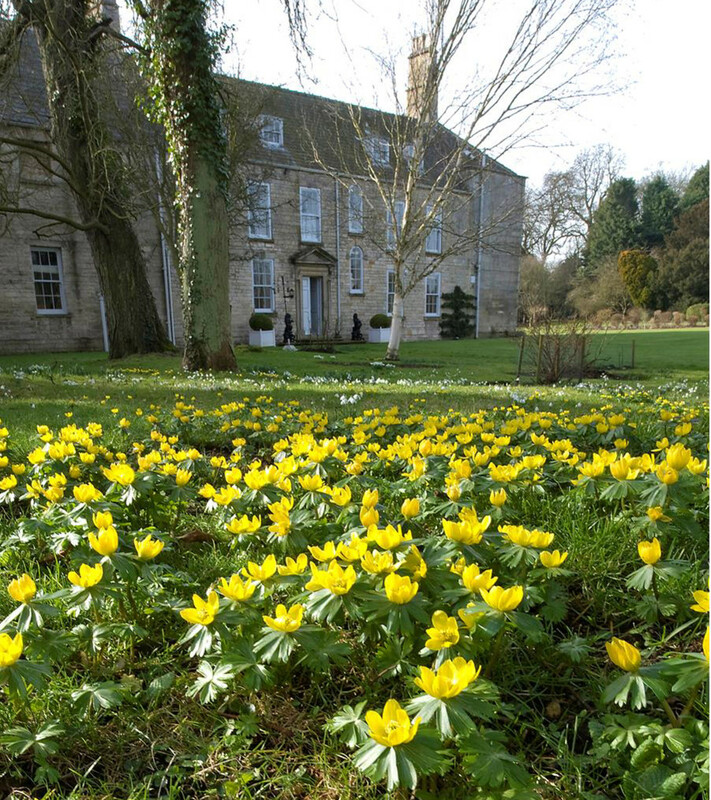 Little Ponton Hall remains in relative solitude save for a few days every spring when the gardens are open to the public to view the impressive snowdrop displays.